Rich, creamy New England clam chowder, hearty French onion soup, flavorful cheddar ale, a robust bowl of pho…whatever it is you’re craving, Vermont has it. Soup is good for a variety of occasions. Whether you’re sick, the weather is chilly, or you’re simply in the mood for it. Here are the best soup places in Vermont. This Vietnamese noodle shop is a BYOB establishment, which usually means the focus is on dishing up delicious, authentic food without upselling things like alcohol. In this, Pho Hong does not disappoint, and they offer fresh-made, flavorful stir-fry, noodle dishes, appetizers, and, of course, pho. Try the great Pho Tai Nam Bo Vien when you visit. Madison’s is a brewery and restaurant located in the heart of Bennington’s old downtown district. The place feels like your quintessential hometown pub, and the seven-barrel brewery has been churning out sudsy favorites since 1996. And, the beer is an important ingredient in a dish that makes this list. The cheddar ale soup here is warm, filling, hoppy, cheesy, and delicious, and it is definitely worth the drive to Southwestern Vermont to pick some up. Mulligans feels like an English pub in all of the best kinds of ways. There is always a lovely festive atmosphere and the smells of prime rib and fish and chip hit your nostril almost instantly upon entering the comfortable establishment. Moreover, one comfort food dish that locals rave about here is the classic French onion soup, and Mulligan's slow sweats onions, adding them to a special broth of beef and cider, which they top with a crostini and blistered Swiss cheese. Offering grilled steaks, wild caught fish, lobsters, and shellfish, Anchor has been dishing up New England seafood for almost 20 years. Plus, you’ll find a creamy, decadent New England clam chowder on the menu every single day, as well as a hearty French onion soup, and a soup du jour you are not going to want to miss. Offering a bevy of homemade soups that change daily, this build-your-own sandwich shop offers good eats made with local, fresh ingredient. For soups, though, we are talking butternut bisque, smoky corn chowder, tomato basil-parmesan, and seafood gumbo. 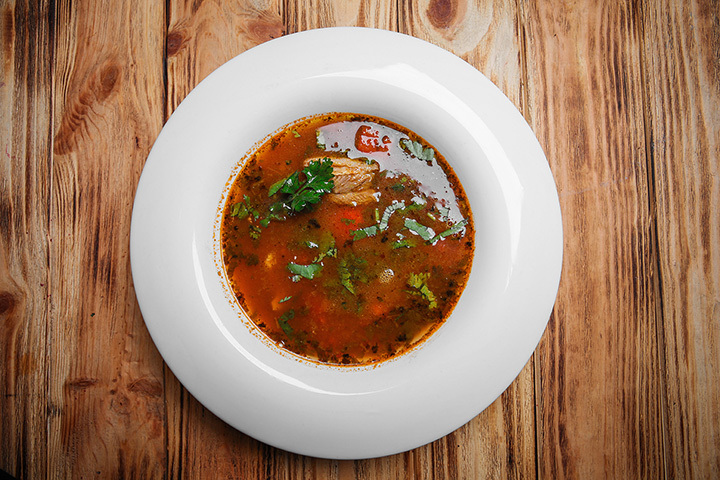 Special soups, made frequently but not found on the regular menu include African peanut, mushroom beef marsala, artichoke spinach bisque, Syrian red lentil with apricot, and more. Superfresh is a small, local cafe that specializes in vegetarian cuisine featuring flavors and foods that are non-GMO, soy-free, gluten-free, egg-free, soy-free, dairy-free, peanut-free, and 100 percent vegetarian. This soup spot also sources their ingredients from local farmers, which are showcased in a wonderfully fresh soup du jour that changes daily. Since 1997, this cafeteria-style soup spot has been serving up a steaming hot rotating menu of warm, veggie-heavy Jewish-style soups and stews. We are talking about Zabby’s signature chicken soup, LaPlatte Farm beef stew, vegan chili, curried yellow split pea, tuscan red lentil, fresh tomato, and so much more. If you find yourself in the Southwestern part of the Green Mountain State around noon with nothing particular to do and hunger pains creeping up on you, Zoey’s Deli is small a soup and sandwich spot in the historic Depot District of Manchester that might have the fix you are looking for. Not only are you going to find hand cut, house-made Zoey’s potato chips here, but their homemade soups and sandwiches are too many to name here. Helping to prove our theory that some of the best food comes out of food trucks and stands, Smokin’ Bowls offers a limited soup and chili menu that is made from scratch and updated daily. Located along Vermont Route 103, just off Interstate 91 Exit 6, this soup shack dishes up curries, hot bowls, soups, and more. This locally owned and operated soup shop prepares its menu dishes fresh daily, and it changes its options often, based on what is fresh and available. With complimentary “bubble iced tea” offered during your wait to be seated, the main dining menu includes pho beef soup, coconut tofu soup, duck soup, dumplings, fried rice, and more.